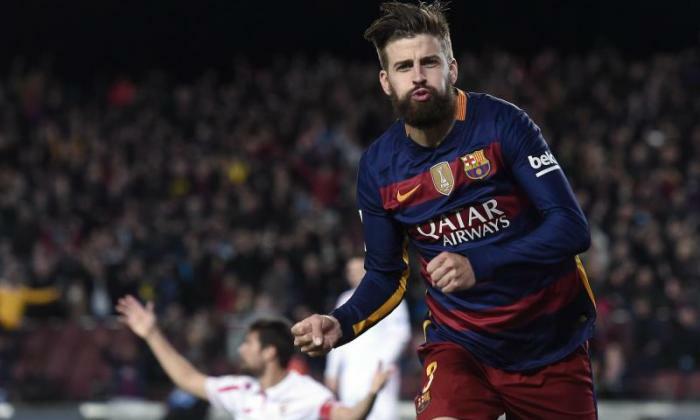 Barcelona Defender Gerard Pique insists there is no chance of him following Pep Guardiola to Manchester City this summer, due to his "love" for Manchester United. The Spain centre-back has been just one of the stars linked with a City switch since the announcement of Guardiola’s takeover at the Etihad Stadium in the summer. But ex-United man Pique has ruled out a reunion with his former Barca manager, saying he has no intention of representing the blue half of Manchester. The 28-year-old, who spent four years at Old Trafford before becoming a key member of Guardiola's all-conquering Barcelona side, said. That love does not mean he is thinking about one day making a return to United either, but he says he is keen to experience another league at some point. "I'm very happy in Barcelona. “United are my second club, but my future is at Barca. I'm very proud to play at Barcelona. I think it's the best club in the world. "I would like to try a different league when I've got a few years to go before retiring. "I don't know if it will be Colombia, I'd like that for Shakira, but nobody can predict the future."